Tattoos have gained popularity in pop culture and it seems like everyone is getting one. Tattoo’ed characters and books about tattoo culture have increased as well. When I typed ‘tattoo’ in the keyword in Amazon Romance, it came up with 1,387 entries. If you are into tattoo romance, you have plenty to choose from. I’m not into the romance genre, but I do like time travel. Hmmm. Oh I love the tattoo!! I had no idea about the books. I am curious, I think I’ll check into them. Lots of romances have tattooed characters! I got my first tattoo at age 54, now have seven of them. My skin won’t let me do more…sigh. 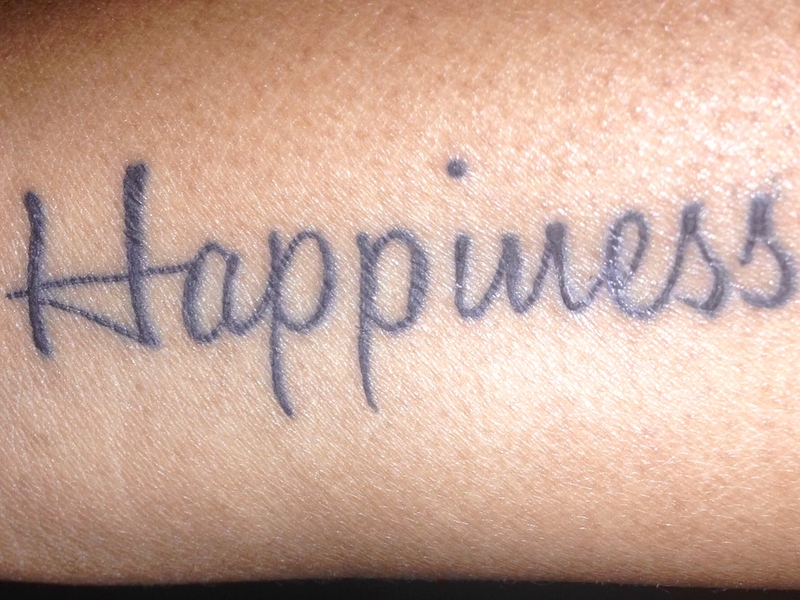 If you are going to get a tattoo, you might as well be happy about it. Happiness is an excellent choice. I just stopped by from the A to Z challenge to say hello.